Gorgeous five bedroom plus den home with spectacular views over man of war cove in sought after port royal! The open floor plan with split bedrooms provides effortless living with gracious living room with wet bar, elegant formal dining room and formal living room. The gourmet kitchen features custom cabinetry, sub zero side by side refrigerator/freezer, miele appliances: gas range, indoor grill, double oven, warming tray. The master retreat features a private entry to outside sitting area and dual master bathrooms. The remaining four bedroom are large and feature en-suite bathrooms. Residence is completed with generously sized outdoor patio area and landscaped back yard, which is perfect for outdoor entertaining, expansive lanais with electric screens & shutters, floating concrete 40' boat dock and lift, infinity edge pool and/spa, 3 car air-conditioned garage & generator. Port royal membership eligibility. 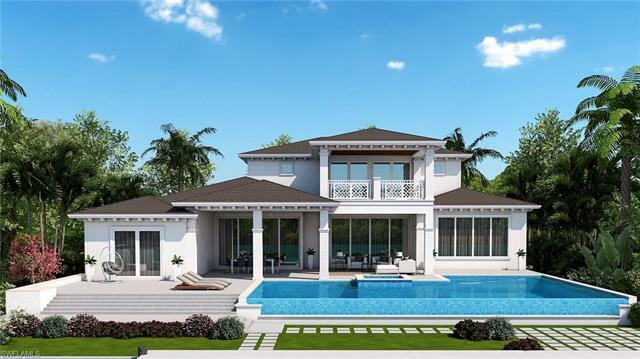 Designed for todays southwest florida waterfront lifestyle, this newly constructed luxury home is located in aqualane shores on the broad waters of flamingo cove. Fully furnished with exceptional quality workmanship and materials throughout. Sophisticated, classic and transitional. Enter a tall foyer into a spacious and bright living area perfect for entertaining in style. Featuring 5 bedrooms + study with ground floor master and guest en-suite, chefs kitchen with large island, butlers pantry, climate controlled wine cellar, 2 laundry rooms, private elevator, 2 fireplaces, 2nd level living area and covered balcony, summer kitchen, roll-down screens and hurricane shutters, large covered outdoor area, zero infinity pool, 3 car garage, full smart home technology wired for security, music, shades and lights and room for a generator all secured within this 2 story concrete block construction home. 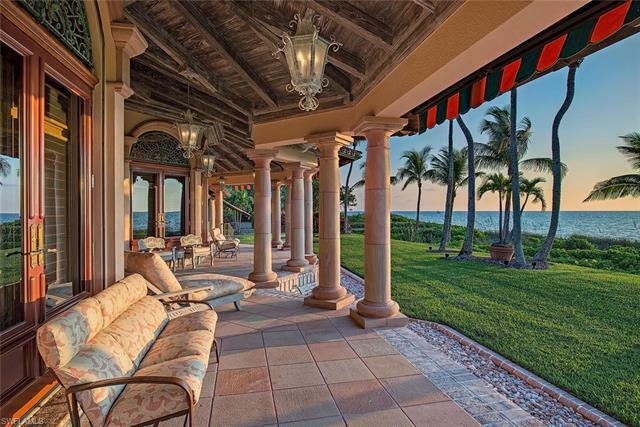 A boater's paradise with a new sea wall, 100 feet of water frontage and easy access to the naples bay with no bridges. 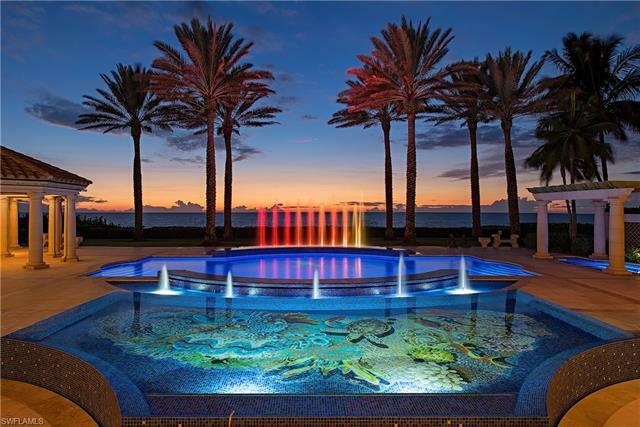 Close proximity to the famous naples' beaches and the celebrated third street shops and dining.